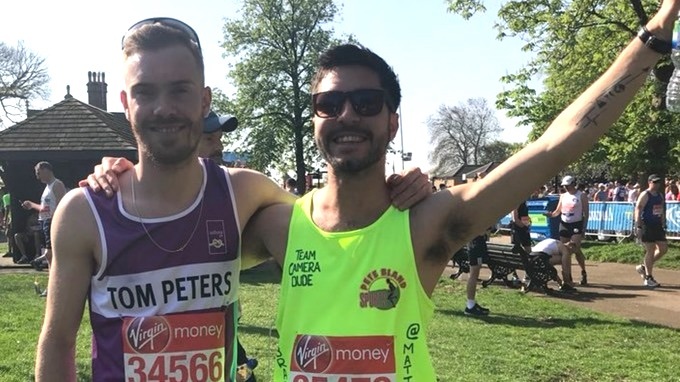 Death of London marathon runner inspires massive fundraising drive for his chosen charity as he leaves behind a family legacy with running at its centre. 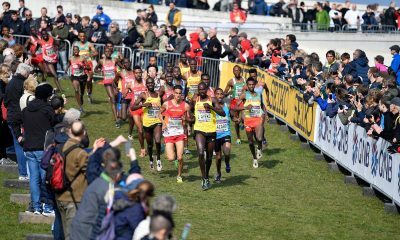 When Matt Campbell toed the start line of the London marathon on Sunday (April 22), he had plenty motivation to race the iconic event, despite having completed his first sub-3 hour marathon in Manchester just two weeks earlier. The accomplished chef from Kendal was aiming to raise £2500 in memory of his dad, Martin Campbell, who had died less than two years earlier, with all funds going to a charity both men were passionate about – the Brathay Trust. 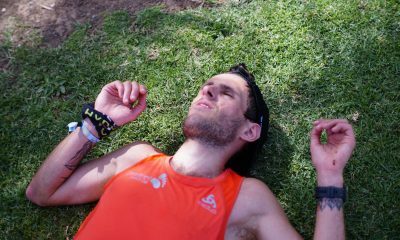 Matt collapsed at the 22.5m mark of the London Marathon, and later died in hospital. At the time of writing, Matt’s Just Giving fundraising page has far surpassed the £100,000 mark, with donations flooding in by the minute. Thousands of members of a Facebook page have now pledged to run the last 3.7 miles of the capital’s route (that Matt was unable to finish) in his memory, wherever they are in the country. Each member will pay a £5 ‘entry fee’ by donating that amount to Matt’s Just Giving page. The movement is using the hashtag #FinishForMatt on Facebook and Twitter, with many runners having completed their tribute run already. 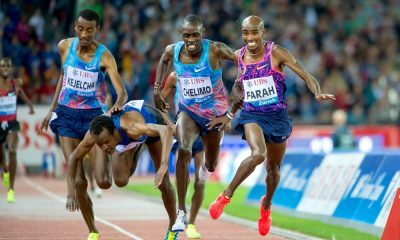 A talented but latecomer to competitive running, Matt’s 2:56:50 PB came at this year’s Manchester marathon, less than two years after completing his first outing over the distance at the Windermere marathon in 2016. Matt’s story is an inspirational one, on a personal level with his achievements in running and his work as a chef travelling the world and competing in Masterchef contests, but also his passion for the Brathay Trust who he was raising money for in honour of his dad, and his desire to help young people affected by mental health problems. 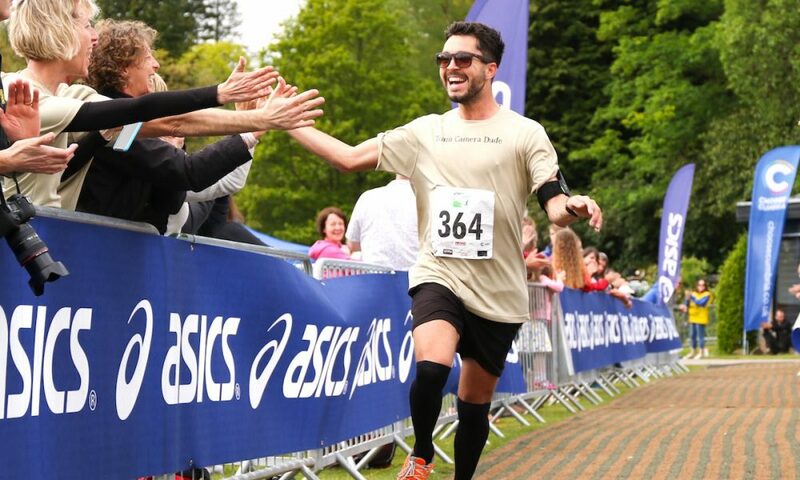 Matt’s running achievements: Matt ran his first race in 2016 at the Windermere marathon in May 2016, where he ran a creditable 3:28:42 on his debut. He followed that up last year with an impressive 3:03:09 in the same event, a time that belies his clear running abilities, considering the intensely challenging nature of the Lake District course. His time earned him a top ten spot and, perhaps poignantly, the inaugural Martin Campbell award (created in memory of his dad in honour of the voluntary photography and videography work Martin did for the Brathay Trust’s running events) for the fastest local runner. He was planning on running his third Windermere marathon next month, on May 20. His work as a private chef: The 29 year-old was an internationally recognised chef, who began his globetrotting career in 2009 when he moved to the French Alps for work after finishing an impressive second in the BBC’s Young Chef of the Year competition. He worked in some of Europe’s top Michelin star kitchens before returning to England last year to take on the daunting task of competing in the BBC’s Masterchef – The Professionals, where he reached the semi-finals. Since then he had been building his reputation as an accomplished chef with a desire to cook ‘thought-provoking food with diverse flavours’. He had just completed the latest stop of a culinary tour of Britain at Manchester’s Real Junk Food restaurant, (which cooks meals with food that would otherwise be thrown away, charging on a ‘pay-as-you-feel basis’), and was a keen advocate of the benefits of vegan diets, having taken part in this year’s ‘Veganuary’ in January. 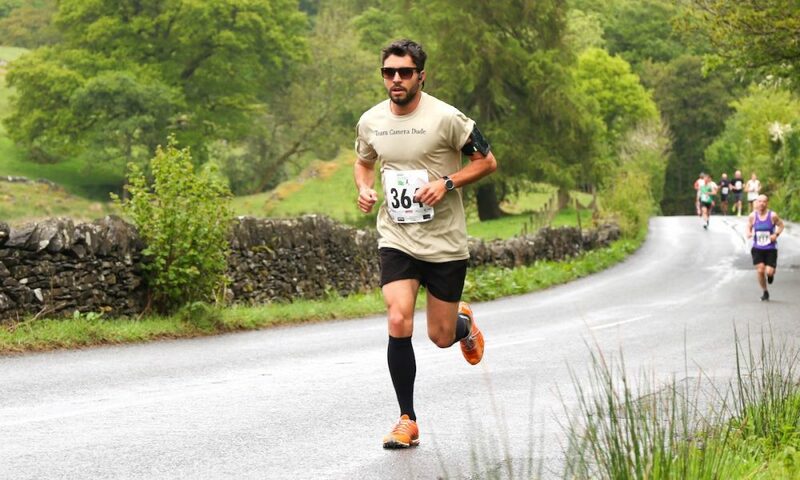 Why did Matt run the Windermere marathon as his first race? Matt’s dad Martin Campbell bought Windermere marathon entries for Matt and his brother Josh for Christmas in 2015. Why was Matt raising money for the Brathay Trust? Matt was running the Manchester and London marathons in his dad’s memory – using his dad’s nickname as part of the appeal, namely Team ‘Camera Dude’, with all money raised in aid of the Brathay Trust. In 2015 Matt had experienced first hand what the event meant to so many people involved when he helped his dad with the filming of the event. He said at the time that ‘the amount of positivity and energy at the event was overwhelming’, and seeing ‘ordinary people doing extraordinary things’ had a profound effect on him. More than £10,000 was raised for the charity following his father’s death in 2016, with the funds used by the trust to pay for a special youth project involving residential experiences for young people, continuing his legacy. Who was Matt’s dad, Martin Campbell, affectionately nicknamed ‘Camera Dude’? Martin Campbell was credited with having a hugely positive effect on the continuing success of the Brathay 10in10, helping the charity to inspire children and young people to make positive changes in their lives. He was also a keen cyclist, photographer and videographer, and a believer in the power of outdoor activities to encourage positive changes in people’s lives. He had photographed and videoed every day of the annual Brathay 10in10 marathon challenge, (ten marathons in ten consecutive days) since 2008, and had become an integral part of the event. Martin would film runners competing from the break of dawn until sun down, working late into the night to make sure the clips were ready for the following morning for everyone to enjoy. The Brathay Trust’s Chief Executive, Godfrey Owen, said the money raised through Matt’s Just Giving page would be hugely instrumental in changing young people’s lives, creating a legacy in memory of Matt, and his dad Martin. He explained: “Matt was passionate about raising awareness of and helping improve young people’s mental health, so we are going to be taking a broad view of how the Trust can use the incredible amount of money raised to make a significant positive contribution to that end in his memory. When asked to summarise what the Trust stands for and works hard to achieve, Owen’s response was inspirational: “We are now in our 72nd year, and proud to continue creating opportunities for young people to develop themselves, their self-esteem, resilience, confidence and sense of well-being. Working on these factors helps young people become more employable, more successful and ultimately contribute more to their local community, and the world at large. “We work in partnership with schools, youth groups, other charities and a range of other organisations to help encourage long term development, as, although residential experiences are a key part of boosting confidence, taking a long-term approach essential, supporting young people to continue to grow when they return to their usual routine. What is the Brathay 10in10? The ultra-endurance event is now in its 12th year raising funds for the Brathay Trust. 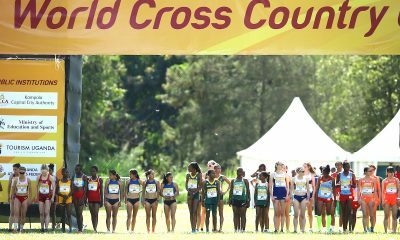 It involves runners taking on a 26.2 mile anti-clockwise circuit of Windermere, running through Hawkshead, Newby Bridge, Bowness-on-Windermere and Ambleside, ten times, on ten consecutive days, with the Windermere marathon serving as the tenth and final challenge. Legendary fell runner Joss Naylor MBE is Patron of the event, and will set runners off on May 11 this year, returning on the final day to welcome the weary runners across the final finish line. Since the first event was held in 2007, more than a million pounds has been raised in aid of the charity. Entries are still open for the both the Brathay 10in10 and the Windermere marathon on the Brathay Trust’s website www.brathay.org.uk. Godfrey Owen said the Trust would be in talks about how to celebrate Matt’s life at both events.